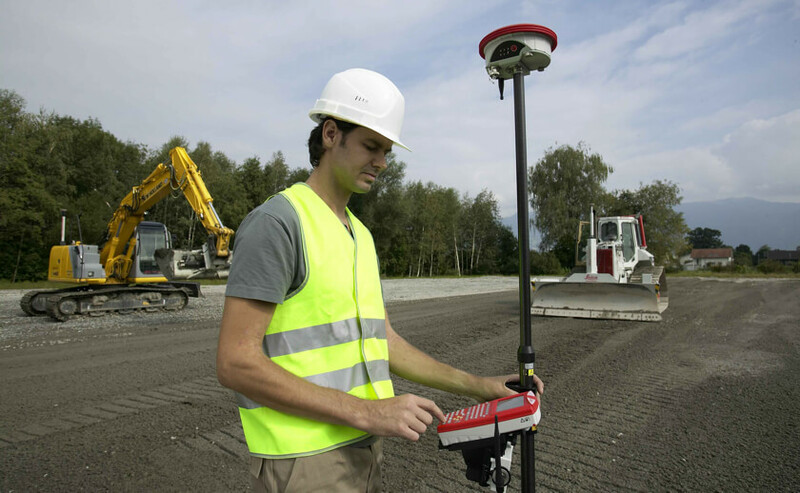 InSite SiteWork offers advanced tools for surface import from GPS, total stations and drones and exporting point data to GPS and total stations. Verify existing site topography, calculate "as-builts" and easily create rough grade stake-out data. 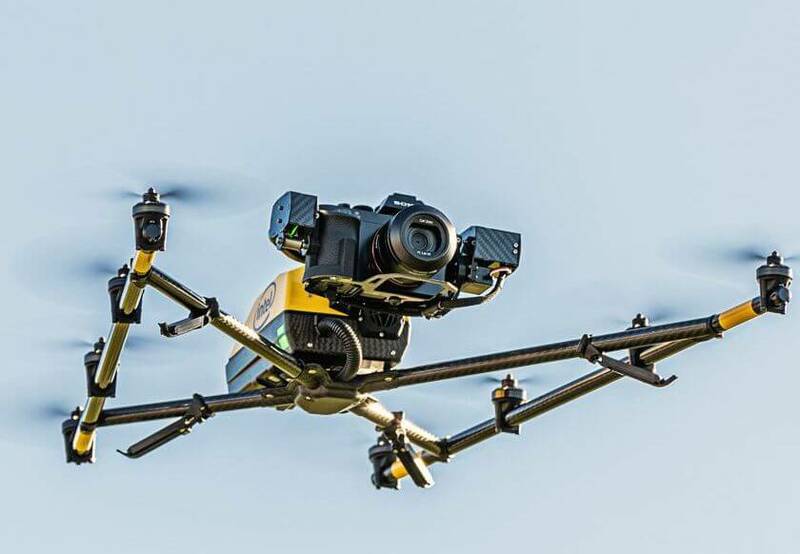 Use drone data or record enough points to accurately reflect the topography of the site. Align and import into InSite SiteWork. A triangulated surface model is created and can be used for site verification, as-built calculations, and mining/landfill interval calculations. 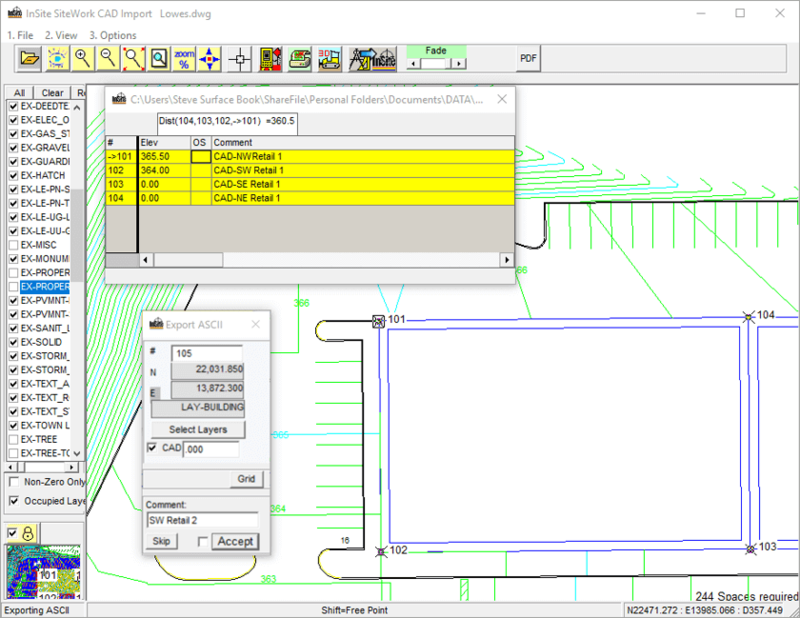 Select a surface for export and indicate point spacing. 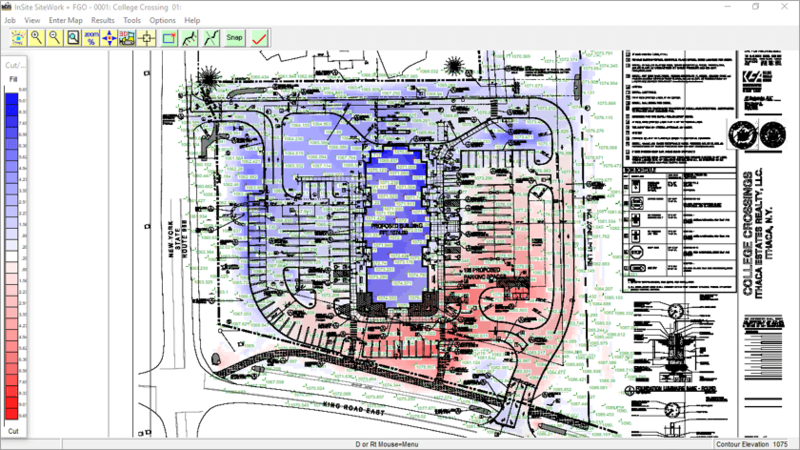 Select points for precise X and Y (northing and easting) placement, and choose any surface elevation (existing, proposed, stripping, subgrade) or CAD derived elevation. Generate GPS Machine Control Models for export to Topcon, Trimble, CAT Accugrade, Leica, Komatsu and all other machine control systems. Create detailed staking files. Curb offsets, structure offsets and road staking (vertical curves). Click here for more information.